The Mega Millions jackpot has two jackpot records worth mentioning. The first occurred in July 2016 when an Indiana family took home the largest Mega Millions jackpot of any single player. The family wished to remain anonymous under Warren D, LLC. They cashed out on the $536 million Mega Millions jackpot. The family purchased their tickets on their way out of the state for one of their child’s sporting events. 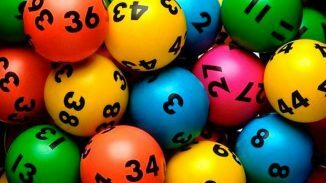 They stopped off at gas station in Cambridge City, as they had done many times before, and decided to buy five Mega Millions tickets at random after seeing the jackpot was so high. The winners chose to take the one time lump sum worth $378 million, before taxes. The odds of winning this particular Mega Millions jackpot were 1 in nearly 259 million, with the winning number combination being: 8-19-20-55-73, and a Mega Ball number of 5. The record for the highest jackpot amount in Mega Millions history was set in March 2012. Three winning tickets were sold in Illinois, Maryland, and Kansas. The jackpot total hit $656 million. The winning numbers drawn were 2-4-23-38-46, with a Mega Ball number of 23. The odds of taking home the jackpot were 1 in 176 million. The Illinois winners, Merle and Patricia Butler, purchased their tickets at a Red Bud Motomart in Red Bud, Illinois, near St. Louis. The Maryland winners, ‘The Three Amigos’, bought their tickets at a 7-Eleven in Milford Mill, Maryland. In Kansas, the winning ticket holder remained anonymous and purchased their ticket in Ottawa, Kansas. This drawing surpassed the previous Mega Millions jackpot record of $390 million.